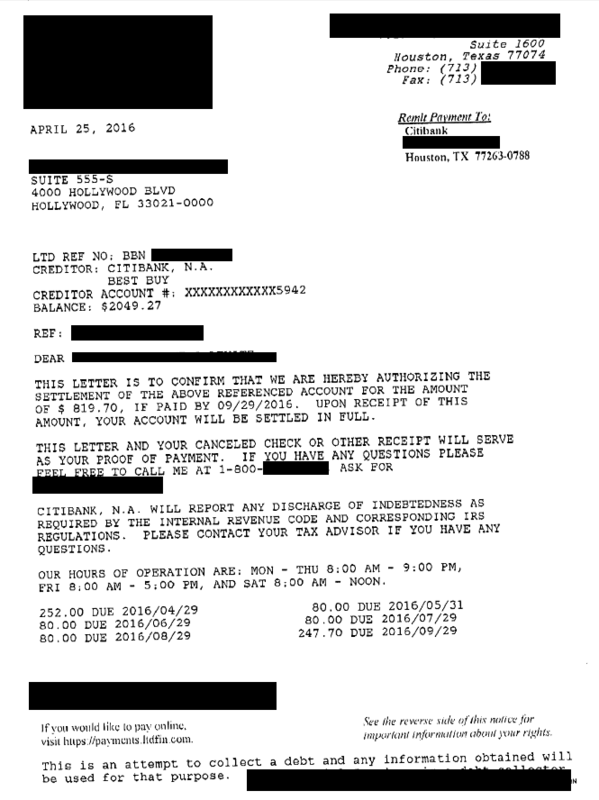 The following is a debt settlement letter for an account with Citibank USA. In the letter, you can see the final negotiated resolution where the client saved 60%. They paid back only $819.70 on the balance owed of $2,049.27.